One of my favorite summer recipes has always been chicken salad. It’s great for a light lunch or dinner, and the whole family enjoys it! I often make this recipe when I have leftover grilled chicken from a previous dinner. Gotta love that! Cut the grilled chicken into small cubes. In separate bowls mix mayo and Dijon mustard. Add celery, chopped egg, almonds and chicken. Add salt and pepper to taste. Great for lunch or dinner… as a sandwich on your favorite bread or the low carb option on top of lettuce. Hope you enjoy! Yummm! 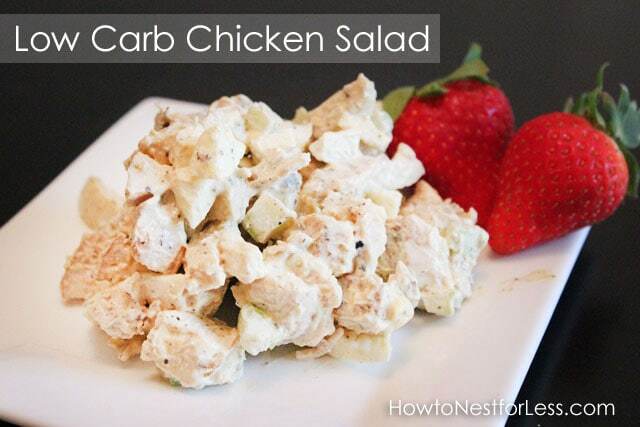 Chicken salad is one of my favorite summer meals. Love this simple recipe! Thanks, Erin!